When you run a cattery boarding business there are several ways that your customers will want to pay their bills. Some will pay by cheque some will use cash and others will prefer to pay by credit card. You will need to decide whether you will accept credit card payments. 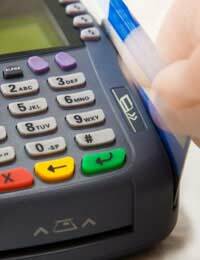 If you decide to take credit card payments you will need to have a credit card terminal. There are many companies who will supply a credit card terminal for your business and you will need to investigate the various machines on offer and the prices. Most banks will supply you with a machine, so it would be worthwhile approaching your own bank in the first instance. You will need to decide if you will just take credit card payments or debit and credit card payments as the machines could differ. You will also need to decide if you will take deposits by credit card over the telephone. Credit card payments can make life a lot easier for you, but you should arm yourself with all the relevant information before approaching your bank or any other company. The use of cheques and cash is on the decline. Most customers will expect to be able to make their payment by credit card. Offering this service adds to customer satisfaction and will make the whole transaction of payment quicker and easier for you and your customer. The advantage of not having cheques or cash to take to the bank should not be underestimated. Cheques can be lost and of course there is the chance that the will not be honoured. You then have the whole inconvenience of re-presenting the cheque, or contacting your customer, this can be both time consuming and embarrassing. The trips to the bank to pay in cheques can be minimised and probably in time can be dispensed with altogether. Once you have accepted payments by credit card the money is credited quickly into your bank account. If you have staff who see the customers in and out of your cattery the risk of lost cheques or cash is minimised if the payments can be made by credit card. The main disadvantage of taking credit card payments is cost. You will have to rent or lease the machine and probably have a contract of at least a year. There will be a charge for renting/leasing the machine and also there is a charge for each transaction. It is up to you to do your homework and find the best deal for you. If you have a small cattery boarding business you may find that during your quieter months the cost of renting the credit card terminal is not a viable option. You will need to assess how many of your clients would prefer this method of payment. If you have a large cattery and are lucky enough to stay busy throughout the year it will probably be a good option for you.